We’d love for you to join us at our New Member Open House! Come and enjoy light refreshments with current and prospective members. 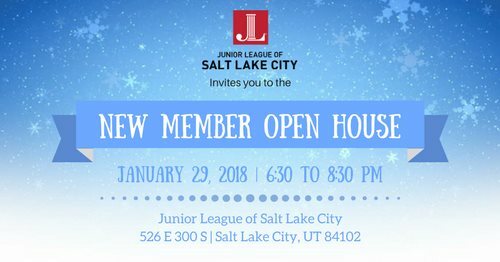 This is a great chance to learn more about the Junior League of Salt Lake City events and community impact. We will also cover what it takes to be a member in a fun and casual atmosphere. If you are interested in becoming a member but are unable to attend, please let us know and we can give you additional information through email or in person on how to join.